We are now looking for up to 2 inches at the Crest and perhaps half that in the Carson Range. 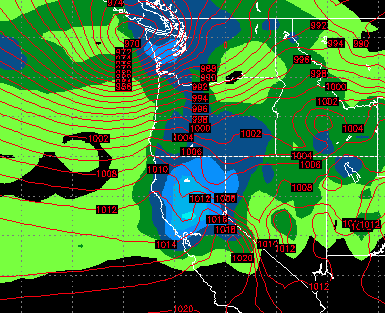 Snow levels are a bit tricky, but I think anything above 7,500 will be all snow. 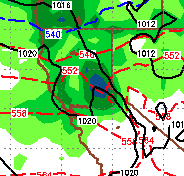 As the front passes through snow levels could drop to the valley floor. However, no valley accumulation is expected. Just as a disclaimer, the NWS is not seeing this and is predicting a dusting to 2 inches at the Crest and a whiff for the Carson Range. I guess we will see as I am looking at 2 feet at the Crest and probably a good foot of snow on Slide Mountain (and maybe more) by Sunday afternoon. Apparently the Monthly Control Model is seeing something, let's hope it nuts this one.